This lecture is free and open to the public. Tickets are not required. Those who attend will hear more from Havlik about his civilian and military experiences. His presentation will explore why some good leaders go bad and how to avoid these mistakes. It will include insightful stories and actionable strategies for becoming and staying, an effective, confident and humble leader. For more information about this lecture, please contact Heather Adams, an administrative assistant at Husson University’s College of Business by phone at 207.941.7157, or via email at adamsh@husson.edu. 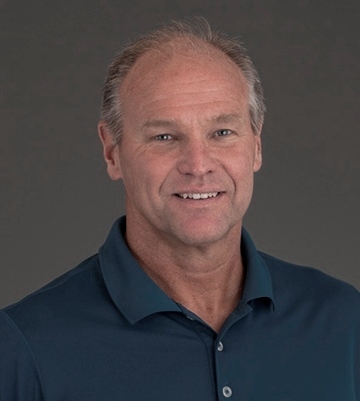 Captain John "Coach" Havlik, USN, retired from the Navy in 2014 after 31 years of distinguished service in the Naval Special Warfare (SEAL) community. Growing up as an Army brat, Havlik followed his father around the world. He would eventually wind up spending most of his childhood in Glen Burnie, MD. Havlik is a graduate of West Virginia University, and was a member of their men's swim team for four years. He was the first swimmer in the University’s history to qualify for the U.S. Olympic Swimming Trials. Havlik also qualified for the NCAA Division 1 Swimming Championships three times and served as a tri-captain of the first undefeated men’s swim team in school history his senior year. He was inducted into the West Virginia University Sports Hall of Fame - Class of 2017. After enlisting in the Navy in 1982 and completing boot camp, Havlik was assigned to the United States Naval Academy as a swim coach/physical education instructor. He received his commission as a naval officer in November 1984 through the Navy’s Officer Candidate School. One year later, he successfully completed basic underwater demolition/SEAL (BUD/S) training. His military assignments have included assignments to sea, air, and land SEAL teams; special boat teams; and the Naval Special Warfare Development Group. Havlik commanded several times and completed numerous deployments to named and contingency operations around the world. This included one deployment to Iraq, where he oversaw the complete redeployment of all special operations forces and equipment after ten years of combat operations. Havlik's naval career included overseas assignments in the Philippines, Panama and Bahrain. He has worked extensively with inter-agency and international partners. While in the Navy, Havlik completed his graduate studies at the Naval War College in Newport, Rhode Island where he received a Master of Arts in national security and strategic studies. This lecture kicks off two days of events at Husson University that honor veterans. On Friday, November 9 at 1 p.m., Husson University will be holding their Annual Roll Call at the G. Peirce Webber Campus Center. During this event, Husson University will participate in a “minute of silence” and a national roll call that honors those who have served, those who are serving, and those who gave their lives in service to our country. The Annual Roll Call is free and open to the public. Later that same day, Husson University will hold a Veterans Appreciation Dinner. The event starts with a reception on Friday, November 9 at 5:30 p.m., followed by dinner at 6:00 p.m. The dinner is designed to show veterans how much the Husson campus community appreciates the sacrifices these brave men and women have made for our country. It is open to Husson University faculty and staff, student veterans and their families. For more information about the Annual Roll Call or the Veterans Appreciation Dinner, please contact Danielle Leighton, Husson University’s Veterans Administration certifying official and assistant student accounts manager by phone at (207) 941-7034 or via email at leightonda@husson.edu. All Husson University students, faculty, staff, and alumni who served in the U.S. Armed Forces are welcome to attend. Friends and family of Husson servicemen and women are also invited. In addition, invitations have been extended to students with no armed forces affiliation in an effort to help increase appreciation for veterans and the issues they face upon returning home after military service.